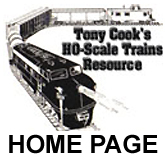 First introduced in the late Red Box Era of the late 1960s, TYCO only offered its 50-foot Autoloader decorated for Frisco with a Trailer Train flat car base. The car was listed in TYCO's Action Cars and Accessories section of catalogs. 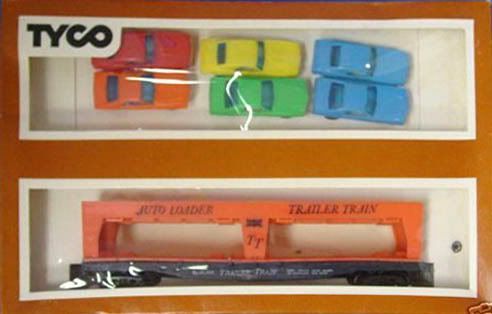 The car was sold with a set of six of TYCO's autos, three each of the Javelin and Camaro in various colors. The car has also been spotted empty without autos included. With autos, it was TYCO's #349 and without autos it is labeled #349-1. 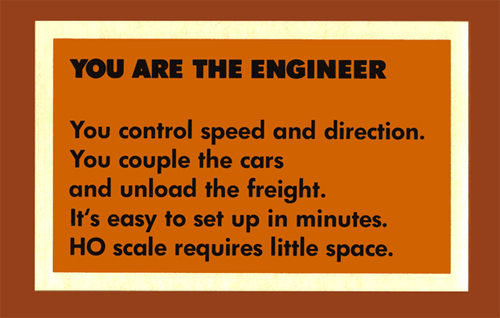 The car is similar to one Athearn produced for Lionel-HO in the early 1960s. The prototype is an Evans-made New York Central car. 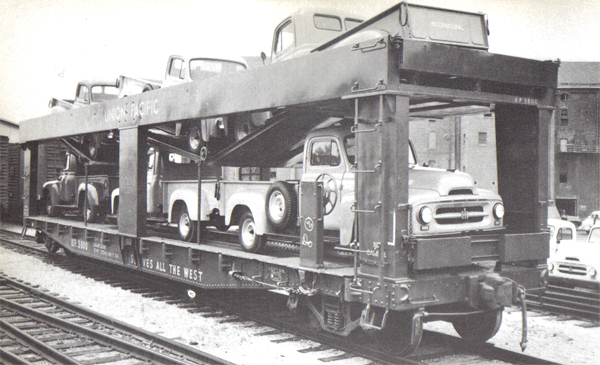 Above is a picture of a Union Pacific flat car that was taken and modified for vehicle service in 1954. This is similar to the TYCO model. Reportedly Santa Fe also experimented with a car of similar design. The Evans New York Central Autoloader is thought to be a prototype that didn't make it beyond the one example produced for evaluation in the early 1950s.